Happy news aren’t stopping pouring in 2017! 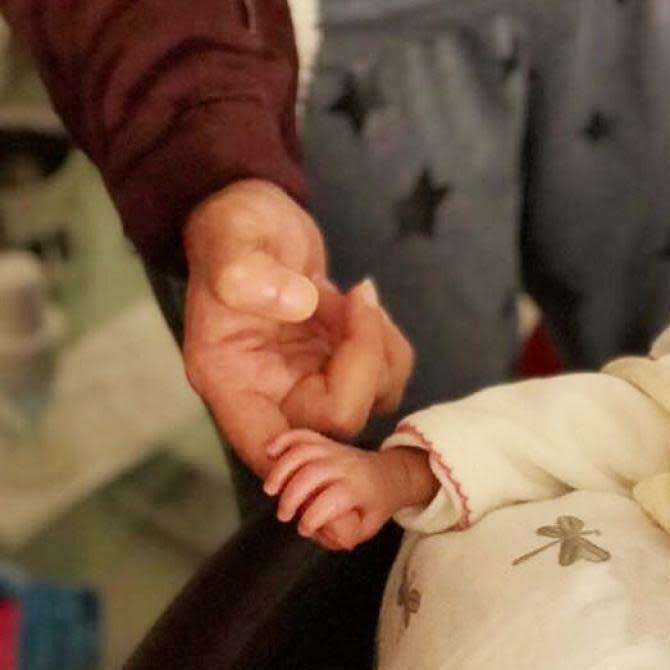 While we are gushing over a celeb wedding, we are given another elated news of another dear celeb entering the parents’ club. 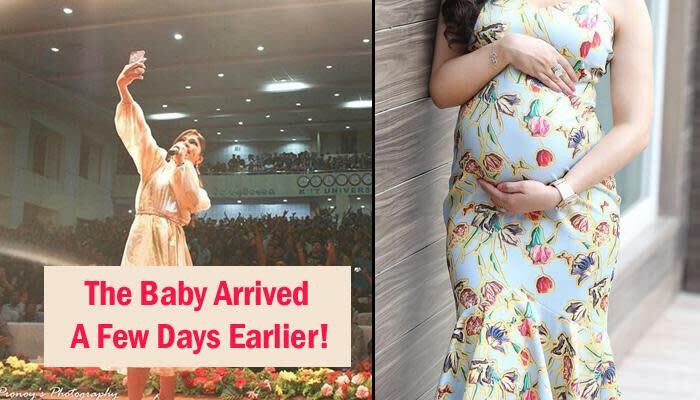 Be it wedding or the arrival of celebs’ little ones, this year has been filled with all the happy news! And with just a few days left for this year to end, we have another baby news. 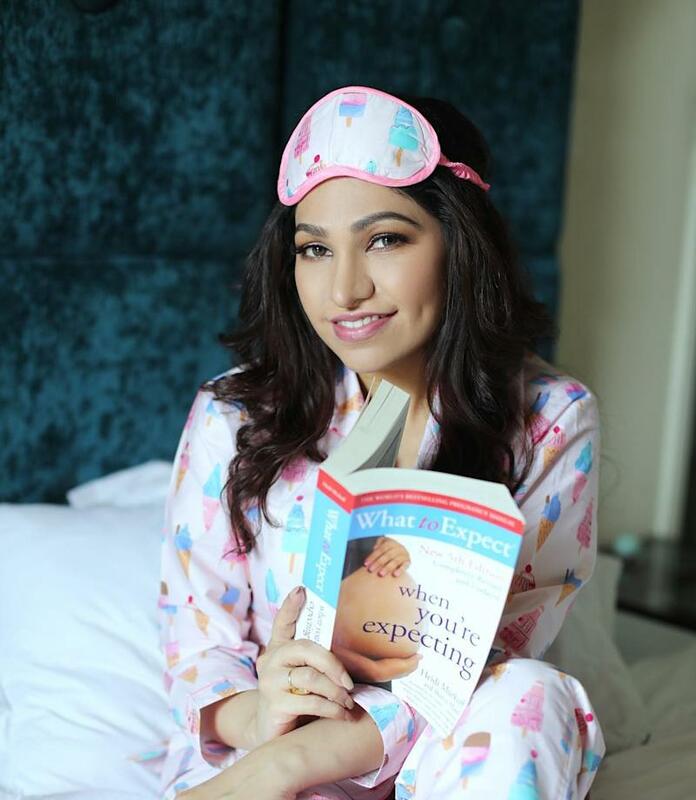 The mention is of none other than the very popular Bollywood singer blessed with a pleasant voice, Tulsi Kumar. 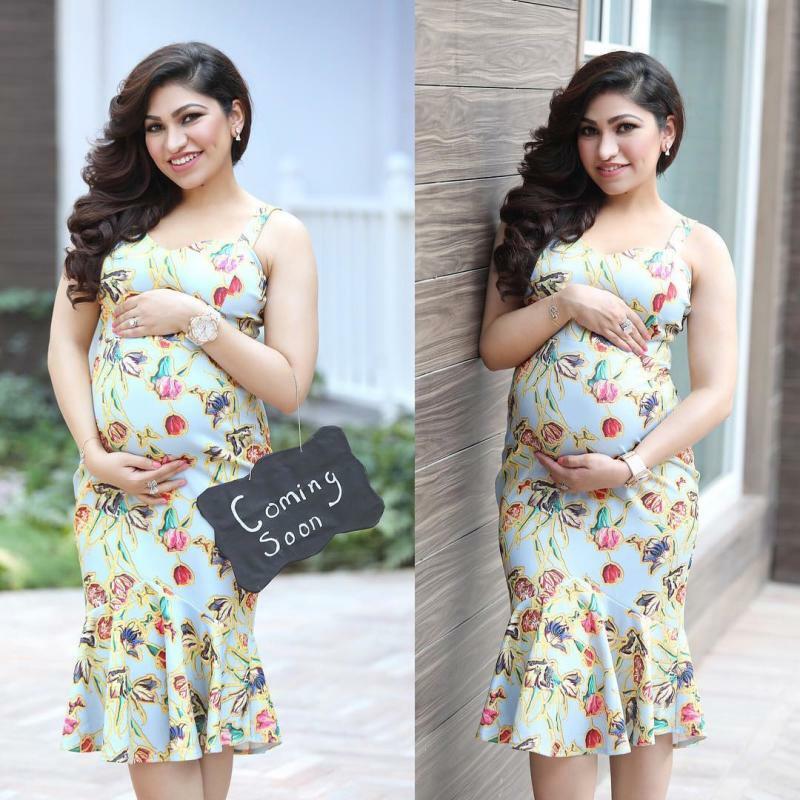 The singer, who has crooned her voice for many superhit and blockbuster songs like Hum Mar Jayenge, Dil Me Chupa loonga, Nachenge Saari Raa, Soch Na Sake and many more has finally entered the motherhood phase. Tulsi daughter of T-series fame Gulshan Kumar walked down the aisle with Hitesh Ralhan, on February 22, 2015, and it was in every sense a grand affair. Their wedding story is one of a kind, click here and check it out! You May Also Like: Virat Wore 'Bandhgala' In His Reception, You'll Be Surprised To Know Just The Cost Of Its Buttons! 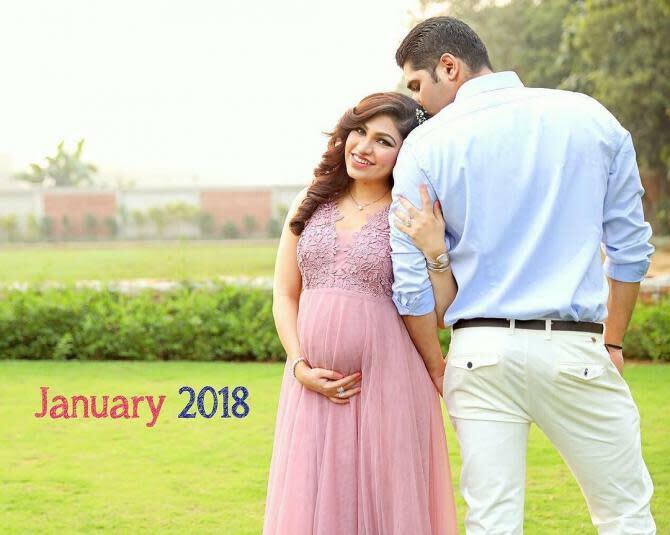 The couple became proud parents to a baby boy on December 24, 2017. 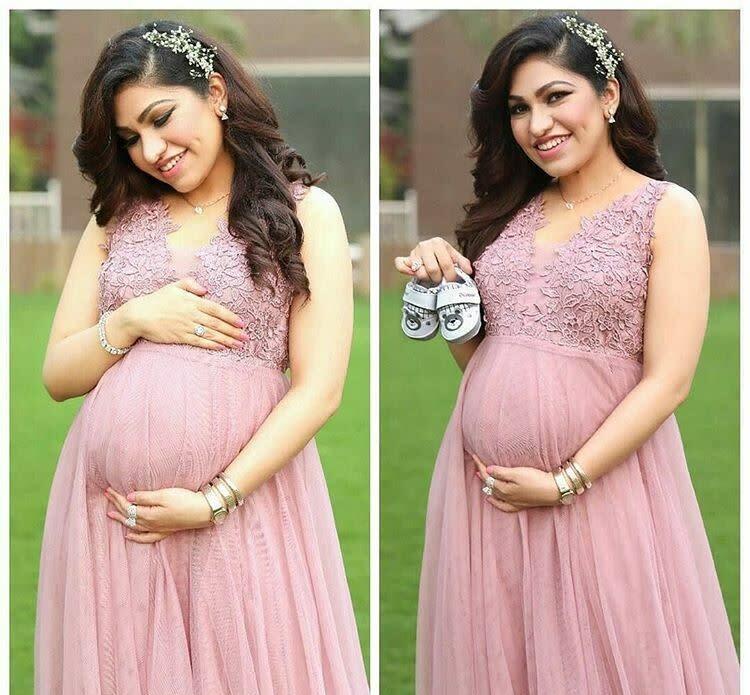 As per their maternity shoot, the baby was to arrive in January, but he entered the world a few days earlier only. We just hope he is doing great and be blessed with the best of health. Wow… so many good news raining in this year! We are very happy to hear this good news Tulsi. 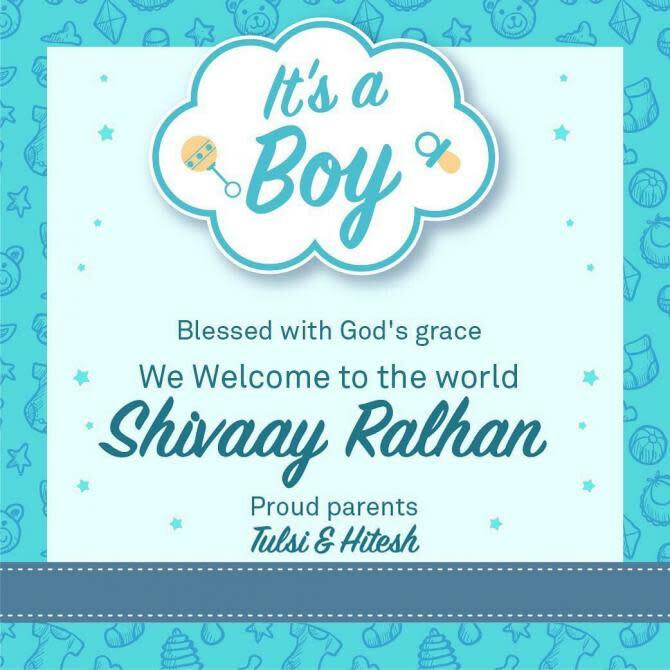 May you, Hitesh and little prince charming, Shivaay be blessed with all the love and happiness in this world. Much love to you three!